Calendar: «Free Comic Book Day». «One funny image» illustrated quotation. Free Comic Book Day, free quote pictures for Facebook, Twitter, LinkedIn, Reddit, Pinterest and other social networks. One funny image can sometimes save an otherwise mediocre strip. 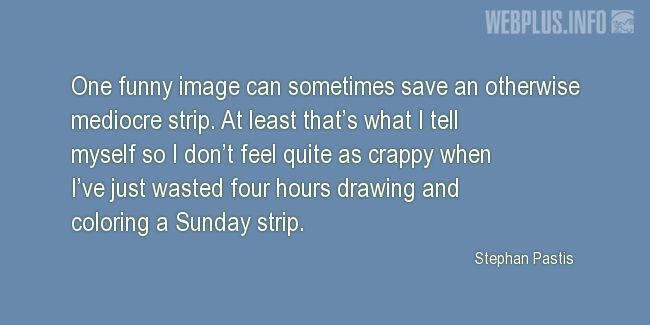 At least that’s what I tell myself so I don’t feel quite as crappy when I’ve just wasted four hours drawing and coloring a Sunday strip.